Marc comes to RedHawk Golf Course after working at Jerome Country Club for five years as an Assistant PGA Professional and two years working for Dicks Sporting Goods as a PGA Head Professional. Along with being an established player, Marc has done an extensive amount of teaching and club fitting during his career. These credentials are what make Marc a great teacher and mentor. 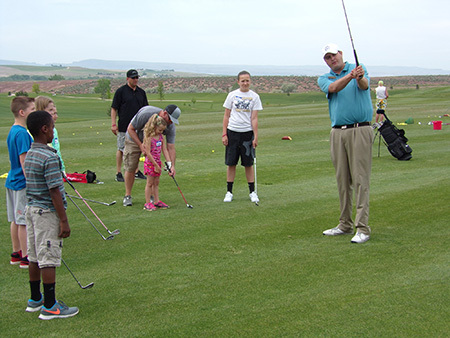 Steve comes to RedHawk Golf Course after working at McCall Golf Club for 2 years as a Golf Shop Assistant and Junior Golf Coordiantor and two years as a playing professional on several professional tours. Steve's extensive playing experience and knowledge are what make him a wonderful instructor and asset to the RedHawk Professional staff.